Where is the event near you. Or if you are sponsoring one please place it here for all to know and find. Location: Where the fun begins and the tents are set. Fairs originated to solve the problem of distribution of goods. As long ago as 1000 BC, it was quite common for caravans of merchants to converge on cities in Egypt, Syria, Palestine, and Mesopotamia during religious festivals when many people would be together in a holiday mood. (The word fair comes from the Latin feria, meaning "holiday.") a, and Central Asia. By appearing on a regular, if infrequent, basis, merchants could concentrate supply and demand in a certain place at a specific time. As centuries passed the religious aspect of the feast diminished, and the commercial aspect dominated. With the disintegration of the Roman Empire in the 5th century, most commerce ceased for about 200 years. But in the Muslim world of North Africa and the Middle East, as well as India, fairs continued to flourish. Muslims controlled much of the shipping in the Mediterranean, the Red Sea, and the Persian Gulf; and exotic goods found their way from China, India, and Southeast Asia to these fairs. The merchants also carried commodities from North Africa and the Middle East to India and China. In India the largest fairs took place during the religious pilgrimages, especially to the sacred rivers such as the Ganges and the Jumna. Each of the dominant faiths Hindu, Sikh, and Muslim had its own fairs, which were a combination of ritual bathing, prayer, fasting, music, dancing, buying, and selling. In China, which has long been known for a large governmental bureaucracy, the fairs were closely supervised by the government. After China had become a single political unit in later centuries, the fairs were relegated to cities on the coast, such as Canton, in order that foreign merchants and traders could be segregated from the rest of society. Chinese merchants, however, were free to travel to fairs in other parts of the world. Java in the East Indies had a sizable Chinese quarter at Bantam on the north coast, where a large fair was held every year. In the 7th century in Europe, there began a gradual revival of trade and commerce that grew to great proportions from the 11th century on. Charlemagne promoted markets everywhere in his large domain. Fairs evolved from these local markets, especially near sea or river ports or at other places where caravans of merchants converged. Again religious festivals were often the occasion for a fair. As early as 629 a fair was chartered at ST. Denis, north of Paris. In the 11th century the Easter fairs at Cologne, Germany, were popular gathering places. In the Byzantine Empire there were major fairs at Thessalonica, Antioch, and Trebizond that flourished until the Ottoman conquest in the 15th century. For about 200 years, beginning in the 12th century, the most prominent fairs of Europe were those held in Champagne, now a region of France. At these fairs could be found products from all over Europe as well as furs from Russia, drugs and spices from the Far East, cloth from Flanders and England, and linen from southern Germany. Other important fairs took place at Lyon, France; Brugge, Belgium; Geneva, Switzerland; Stourbridge, England; and Nizhny Novgorod in central Russia. By the 16th century the age of the great trade fairs was coming to an end. English pleasure gardens developed from resort grounds run by proprietors of inns and taverns. The first one with an international reputation was London's Vauxhall Gardens, which opened in 1661. It covered 12 acres (5 hectares), and admission was free. Entertainment included music, acrobatic acts, and fireworks. Mozart performed there as an 8-year-old prodigy in 1764. In France the pleasure gardens were created by professional showmen such as the Ruggieri family, who opened the Ruggieri Gardens in Paris in 1766. As in London, fireworks were a popular attraction. Balloon and parachute acts were introduced at the end of the 18th century. The amusements that give the parks their name often include exhibits, displays, and theatrical presentations. But the rides have traditionally been the favorite kind of attraction. The most venerable of these is the merry-go-round, or carousel (called a roundabout in England). It had its beginnings in medieval jousting tournaments, specifically in the sport of ring-spearing. Knights demonstrated their horsemanship and skill with a lance by riding full speed at a suspended ring and attempting to spear it. Noble children were trained to ride using a rotating device with suspended wooden horses that was pushed around by servants. Started by Dept of PMM Artists & things Sep 22, 2012. Started by Dept of PMM Artists & things Sep 21, 2012. Started by Dept of PMM Artists & things Jul 30, 2012. Started by Dept of PMM Artists & things May 15, 2012. The 2012 May Moon Beltane Festival! Started by Dept of PMM Artists & things Apr 21, 2012. Started by Dept of PMM Artists & things Apr 13, 2012. Started by Dept of PMM Artists & things Apr 2, 2012. Started by Dept of PMM Artists & things Mar 21, 2012. Started by Dept of PMM Artists & things Mar 4, 2012. Started by Dept of PMM Artists & things Mar 2, 2012. Started by Dept of PMM Artists & things Feb 16, 2012. Started by Dept of PMM Artists & things Nov 13, 2011. Started by Denise Morgan (Helping Hand) Oct 12, 2011. You need to be a member of Period Style Events to add comments! Blackkhawk Manor Renaissance Festival: April 12 (10-5) & 13 (10-3) at Sleeping Bear Retreat in French Lick, Indiana. Royal Banquet from 7-Midnight on April 12 at the French Lick American Legion. Still have vendor space, 10x10 is$25 through Jan. 31, then $35. 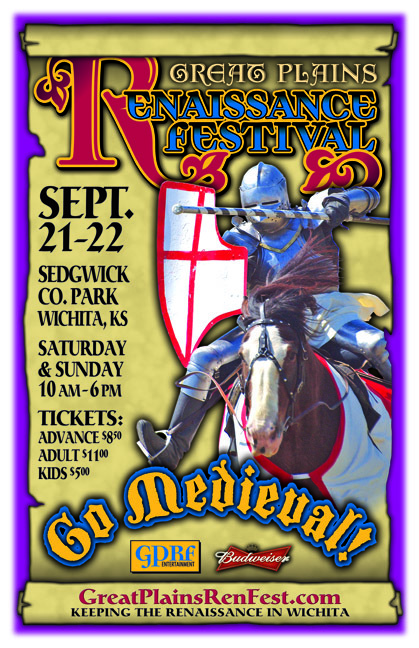 Booth space and tickets can be purchased online at our web store on blackhawkmanorfestival.webs.com. Remember, seating is limited for the banquet, so get your tickets early. Springs Valley Elementary and Middle School students will receive free festival tickets. All proceeds go to scholarship endowment fund for Springs Valley High School. Running GAGG, a gaming convention held at the MacVittie College Union on the SUNY Geneseo campus in Geneseo, NY, would like to invite you to join us for a weekend of gaming fun on January 31st-February 2nd, 2014. We will be hosting a large array of games including many Roleplaying, Board Games, CCGs, TCGs, LARPs, Miniature Games, and Console Games. Please visit our website, www.runninggagg.org, to view the various games, guests, and events being offered at this years convention. Be certain to contact us with any questions. Hope to see you in three weeks.